In 1985, Sergey Tjulandin received PhD, and in 1993 – DSci. In 2000, he became a Professor. Professor Tjulandin is one of the leading specialists in drug therapy of malignant tumors and a renowned expert in the field of chemotherapy. Under his guidance complex treatment methods for testicular cancer, breast cancer, ovarian cancer, and others have been developed. Between 1998 and 2003, Professor Tjulandin was a representative of the Russian Federation in the European Society for Medical Oncology (ESMO). High international impact of his activities is confirmed by his participation in the organization of several international oncology forums, as well as in leading scientific organizations: Association of Russian Oncologists, European Society for Medical Oncology (ESMO), American Society of Clinical Oncology (ASCO). Professor Tjulandin has authored 5 monographs and over 160 scientific papers. In 1997, he started the Russian Oncology Portal, where he is still Chief Editor. Under his guidance, 11 PhD theses in drug and complex therapies of malignant tumors were defended. 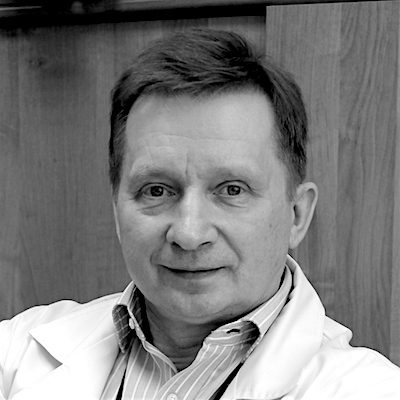 In 2001, Professor Tjulandin’s contribution to the national oncology was recognized with the State Prize of the Russian Federation in the field of Science and Technology.